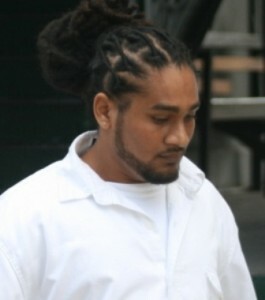 The trial of San Pedro fisherman Harrison Jacobs, charged with the murder of twenty year old Francis Figueroa, ended in a nolle prosequi before Justice Adolph Lucas today in the Supreme Court. Ten witnesses had testified in the trial which was heard by Justice Lucas alone without a jury, but Crown Counsel Shanice Lovell had to stop the trial because the main witness could not be located. Figueroa was badly beaten, allegedly by Jacobs, during an altercation in the Boca del Rio area of San Pedro Town around two-thirty a.m. on November twenty-eighth, 2010. The prosecution charged that Jacobs left Figueroa injured on the side of the street and returned with a firearm and allegedly shot him in the head. Jacobs remains in custody on a separate wounding charge for which he has not received bail. He is represented by Michael Peyrefitte. P.M. says he is seeking a qualified quality assurance person for Lands Dept. Is there support for a senate-led investigation into the passport scandal?